Enter the OUTNET, a designer discount site, which is part of the YOOX and NET-A-PORTER’s company (www.theoutnet.com). I dream of a life where I can purchase designer duds directly from NET-A-PORTER, but until that lottery ticket works out I am over the moon about the OUTNET. On this site, you get the same high quality photos that the parent website touts. However, the discounted prices make items more within reach, making the occasional purchase affordable. So did i try it? YES!!! Whenever I try an e-commerce site for the first time, I take it slow. I don’t want to blow a wad of cash on the infamous ‘FINAL SALE’ items, only to find out that the fit or quality is blah. Not to worry with the OUTNET!! Everything I have bought at this site so far is perfect quality and arrived so fast. 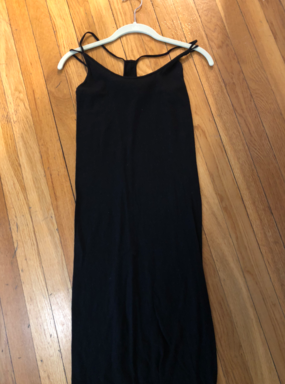 I’ve already purchased an Enza Costa dress before, so sizing wasn’t an issue. I confidently ordered my usual size. Now the Marc Jacobs jeans were making me drool! Seriously! 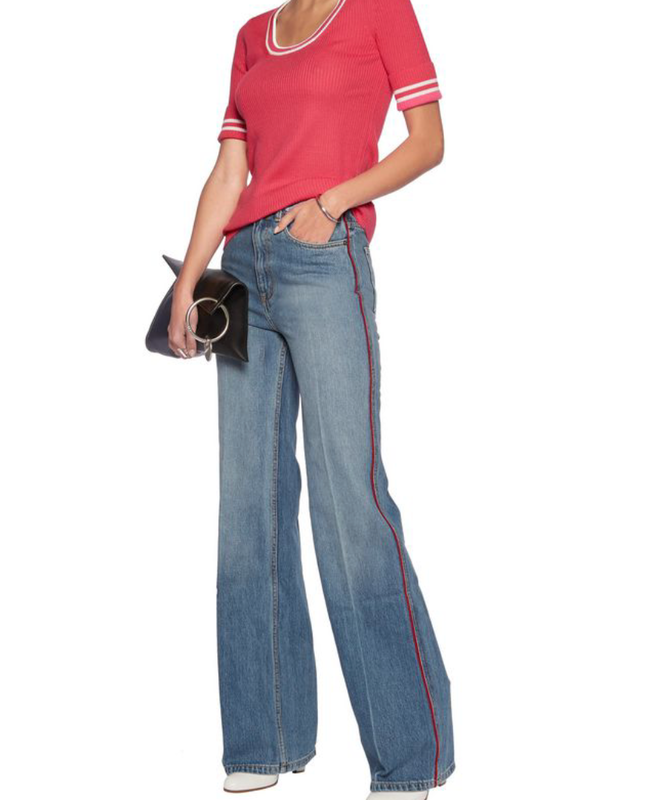 A wide leg pair of jeans with a red tuxedo style stripe on the sides is a rare jean unicorn. There was only 1 pair left and it was in my size. I quickly researched other sites to confirm sizing in Marc Jacobs, since I was unfamiliar with this designers’ fit. Within a week the package arrived. It looked deceptively small for holding the two items. The box was simple with no branding on the outside. Inside was simple tissue with an OUTNET sticker closing up the wrapping. First is the dress. Perfect quality. The only surprise was that the material was thinner than I thought and more of a summery light-weight cotton. This is the type of dress you wear on a casual summer day or a beach vacation. Since I had ordered it in winter, I automatically assumed it was thicker. It can be hard to tell thickness of fabric from on online picture. At any rate, I still liked the dress and wore it on my vacation trip to costa rica, which you can read about here. 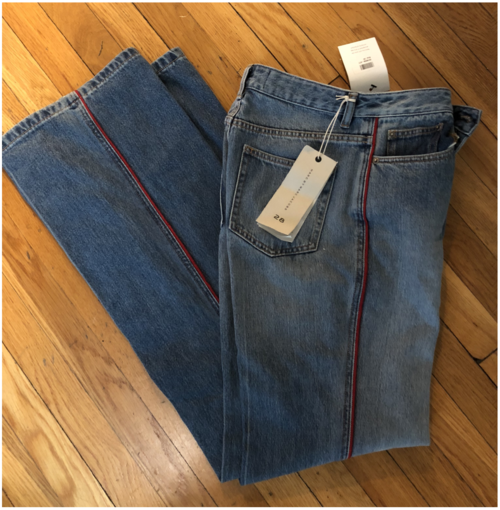 The jeans were an unbelievable deal and superior style and fit. When you find a pair of jeans that fit and look stylish… I officially declare it a jean unicorn. There is simply something magical about it. 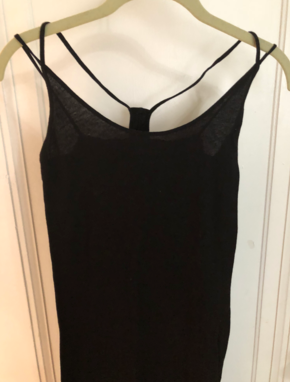 I first purchased from the OUTNET with a guest account. I then signed up for a full fledged account, which as a pleasant bonus smoothly brought over my first order details. I’m actually looking forward to hearing about upcoming promotions and can’t wait to land my next designer bargain at the OUTNET. Note to my darling NET-A-PORTER: Thank you for creating this site! 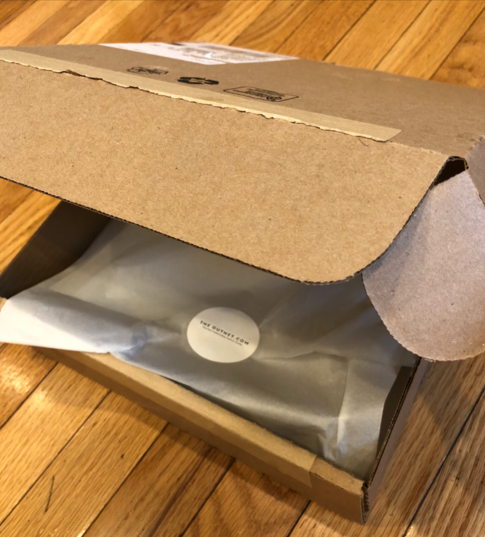 It’s wonderful getting a designer deal with full quality and prompt shipping. Downsides: Limited items, repurchase may not be possible.